This canopy is not attached to a building (hence ‘Free-Standing'). The roof is ‘mono-pitch’ (also described as a lean-To style roof). The maximum width (the dimension along the Eaves/Gutter) is only limited by your needs. The Projection (the dimension at right-angles to the Ridge) is 2,068mm. The Roof Pitch is 14 degrees. Supporting posts are supplied to allow a finished ground to Eaves height of 2.1m. Structural Knee-Braces secure all Eaves level joints. If required your specific requirements of roof pitch, height at Eaves, height at Ridge can be supplied. We can provide you with a quotation based on your requirements. The Free-Standing Mono-pitch canopy is supplied with the Structural Aluminium Alloy Frame powder-coated in White. Other colours can be supplied upon request and will attract an increased cost. Every Canopy is supplied with a comprehensive, step-by-step installation guide. Every Canopy is guaranteed for 10 years. Return to Lean to kits home page. As well as Omega Smart Canopy - Free Standing with 'Lean-To' Style Roof • 2.0m Projection Omega Build supply a range of roofing components such as roof lanterns, roof domes, diy conservatory roof kits, polycarbonate roofing sheets, polycarbonate canopy kits, door canopy kits and much more. I would recommend your affordable products (Omega Smart Canopy - Free Standing with 'Lean-To' Style Roof | 2.0m Projection) to anyone else considering this product, as it has been superb. 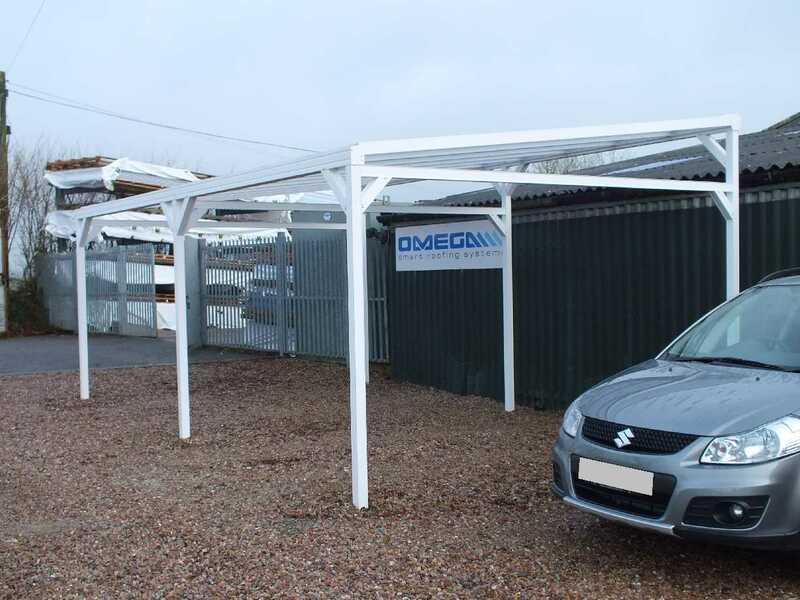 Omega Build Shop | Omega Smart Canopy - Free Standing with 'Lean-To' Style Roof | 2.0m Projection. You are viewing Omega Smart Canopy - Free Standing with 'Lean-To' Style Roof | 2.0m Projection, buy online today!